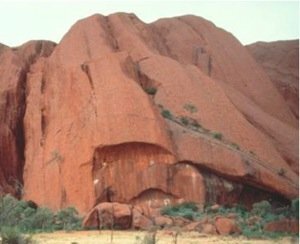 A famous and well known Australian inselberg, Uluṟu, is an interesting geological feature in that its geomorphology is still a matter of controversy among conventional geologists. Traditionally, Uluṟu’s stratigraphical history began hundreds of millions of years ago, being fashioned into its current contour only as recently as between 60 million years ago until the present. The process by which Uluṟu’s shape came into relief tends to be understood in terms of a two-stage weathering then subsequent erosion process. This paper will seek to show that problems with the current hypotheses must force the interpreter into another direction. A three-stage process is proposed here. 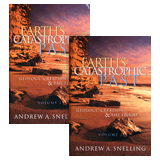 Phase one assumes a cataclysmic mega-flood which initially deposits the Uluṟu sandstone. Phase two is tied closely to phase one, but involves the regressional nature of this flood which rapidly etches out ancestral Uluṟu’s basic form. Phase three invokes the reality of a tropical climate and large volumes of precipitation that culminate in the formation of a vast inland lake. Water processes associated with this lake etch out a suite of features on Uluṟu’s surface, which until the present have been interpreted as sub-surface weathering fronts. Inselbergs1 have been somewhat of a mystery until very recently. Perhaps the most authoritative writer on inselbergs is C. R. Twidale.2 Twidale began researching inselbergs several decades ago, specifically on the continents of Africa and Australia. As a geologist with a uniformitarian framework, Twidale, along with any other worker holding a similar worldview, must seek answers that fit within that worldview. At first glance, Uluṟu,3 Australia’s most famous inselberg, appears to simply jut out from the flat plains of the Amadeus Basin like a New York skyscraper. Over 350 m high and 9.6 km in diameter (figs. 1 and 2), Uluṟu is an impressive sight, especially when its steep sides cascade down, intersecting a flat plain that itself extends for tens of square kilometers in every direction. The contrast is palpable. 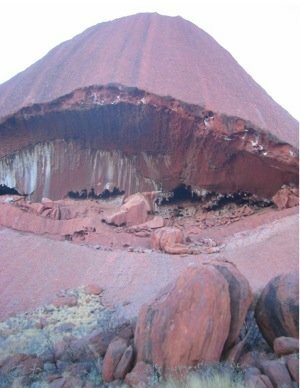 As a geologist, the first question that comes to mind is “how did this rock form?” Once it was established that Uluṟu is actually an erosional remnant, all that remains from a once higher plain extending out perhaps as far as Kata Tjuṯa some 20 km away, it soon became important to determine how this erosion might have taken place. If the ancient plain sat as high, or possibly higher, than the present Uluṟu, then tens of square kilometers of material over 350 m high have been removed. But how was it removed, and when did this occur? These questions must be answered. As uniformitarians, Twidale and other workers who hold a similar worldview have no option but to interpret this erosional process in terms of long ages. So, in the course of several decades, Twidale has written a number of papers interpreting Uluṟu’s geomorphology in terms of a two-stage weathering/erosion process that occurred over tens of millions of years. The goal of this paper is to challenge this view, providing instead a hypothesis that fits a young earth/global Flood perspective, and does so logically and consistently. Without previous geological knowledge, one might be forgiven for describing Uluṟu as one singular, spectacular rock that looks as if it was just dropped in the middle of a vast desert. As stated above, however, it is not. It is actually the remnant of a sandstone formation that persists for tens of square kilometers underground in every direction. Fig. 1. 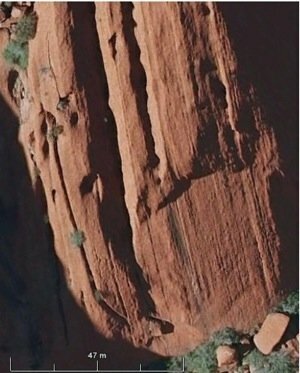 An aerial view of the Uluṟu (Ayers Rock) inselberg showing the bedding of the upturned sandstone strata. North is towards the top of the photograph. Image courtesy of Google Earth. According to conventional wisdom, Uluṟu is the finished product of quite complicated sedimentary and tectonic processes that have been occurring over hundreds of millions of years (Sweet and Crick 1992; Wells, Forman, Ranford, and Cook 1970). Around 900 million years ago, much of Australia’s interior had subsided to below sea level. This basin, known as Amadeus Basin, eventually breached allowing it to be successively filled with marine sediments. At 550 million years ago, the basin was uplifted and folded, producing a series of mountains. Over the next few hundred million years massive amounts of sediment were eroded from these mountains and deposited in the adjacent basins. These Cambrian sediments consisted of conglomerates responsible for the future Kata Tjuṯa, and further away arkose, responsible for the future Uluṟu. As the mountains continued to erode, sea water again covered the former basin in a series of small local floods, depositing mud as well as other marine sediments. Over a further period of millions of years all of this sediment hardened, and at about 400–350 million years ago the area was again subject to further tectonic uplift (Twidale 2007, p. 107). It is this uplift that compressed the Cambrian conglomerates and arkose, and then folded some of the latter (Uluṟu) to its present 80—85° bedding plane. Fig. 2. A ground view of Uluṟu (Ayers Rock) at sunset, showing the erosion lines on the inselberg surface that delineate the upturned beds of sandstone making up this monolith. Photograph courtesy of Andrew Snelling (1982). Around 70 million years ago, this slightly upwarped Cambrian section of sediment complete with the marine sediments atop (in other words a small rise) became a watershed, which eventually scoured out the valley between Uluṟu and Kata Tjuṯa some 20 km away. Only these two upland surfaces now remain as a remnant of a land breach that once existed covering tens of square kilometers (Twidale and Campbell 2005, p. 145). Landscape development involving alternations of weathering and erosion has resulted in flights of planation [flat horizontal] surfaces separated by areas of steep slopes or escarpments in stepped landscapes.Such multistage development in inselberg landscapes has produced stepped residuals [the actual inselberg] in which the platforms . . . correspond to planation surfaces or remnants thereof. forms the core of a large syncline. 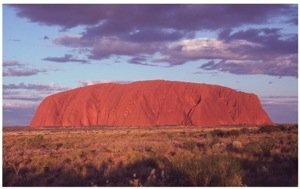 During the folding process, that portion of the arkose which was to become Ayers Rock [now called Uluṟu] would have been the focus of compressional stresses, causing joints to be tight and impenetrable to rain and ground water (Selby 1989, p. 207). Of primary importance to Twidale, is the necessity of the persisting inselberg to have initially started as a rise in contrast to its ancient, adjacent landforms. The dominant role of water-related weathering is implicit in the argument, with the corollary that sites which for any reason were protected against contact with moisture—here through gravity causing hills to shed water—have persisted as landscape features (Bourne and Twidale 2000, p. 106) (see fig 3). Fig. 3. Successive ages of weathering and erosion of Uluṟu (after Twidale 2005). In summary, an initial rise will naturally act as a watershed causing primary erosion on the hill’s flanks. Erosion on the flanks occurs as the watershed firstly erodes the circumference of the future inselberg. At the same time, water draining from the rise, along with the efforts of an underground water table, initiates a process of differential weathering. In the case of Uluṟu, this differential weathering supposedly occurred episodically and not progressively. Thus one episode of weathering occurred followed by a period of erosion. This process was then duplicated. Presently, this process might or might not be acting on the current plain (Twidale is not sure). Each period of weathering/erosion leaves a planar surface extending laterally out from the steep inselberg walls. Several such periods will produce a “stepped” erosion surface that might consist of only one or multiple levels. The last level will represent the present-day surface. Twidale’s primary evidence for this process of inselberg formation comes from a suite of forms that occur at each new surface horizon. These forms are primarily flared slopes, open-mouth caves, tafoni4, and foot-scarp5 caves. A suite of forms is developed in the scarp-foot zone, but the flared form is the key element of this assemblage because its piedmont and sub surface origin is certain in most instances (Bourne and Twidale 2000, p. 107). Flared slopes are vertical, concave outward, wave-like walls, with the crest of the “wave” sometimes extending out further than its base (see figs. 3 and 4). According to Twidale, these concave slopes are ancient weathering fronts that were produced “under” the surface. This is depicted in the third frame of Fig. 3. Notice the dotted lines labeled 1–4. At the face of lines 3 and 4, the bolder dashed line takes on a concave-out shape. These concave-out shapes represent successive periods of weathering. These four periods (represented by the four dotted lines in frame 3 of Fig. 3) themselves represent one “episodic” event that is initiated due to premium weathering conditions. The weathering having been accomplished, a later period of erosion then removes some of the old land surface as well as broken and disarticulated rock material. Larger chunks of rock will eventually break off and fall to the new ground level due to the eroded under-sections. According to Twidale, Uluṟu evidences two episodes of such weathering/erosion (Bourne and Twidale 2000, p. 113). One period of weathering affected a zone which now stands some 35 m above plain level and caused the development of breaks of slope and huge gaping mouth caves or tafoni. The second and later period of sub-surface weathering caused the formation of flared slopes 4–5 m high at the base of the present foot slope . . . cliff foot caves merge laterally with flared slopes at several sites. Fig. 4. A concave-out flared slope and flat piedmont jutting out at the base of Uluṟu. Photograph courtesy of Michael Reeve. The conventional view of Uluṟu’s geomorphology as espoused by Twidale is quite specific, and is thorough in that it deals with details such as the flared walls and open-mouth caves. These features must be incorporated into any interpretation of Uluṟu’s geomorphology. Fig. 5. View of the Uluṟu sandstone (arkose) in thin section under a microscope, at approximately 50× magnification. Note the jagged grain edges, the different grain sizes, and the large K-feldspar grain (right).Photograph courtesy of Andrew Snelling. Although the origin of Uluṟu’s arkose (sandstone) is not primarily pertinent to its present geomorphology, it will be important to discuss its genesis, as its origin is tightly connected to this author’s geomorphological view. According to the conventional view, Uluṟu consists of Cambrian arkose. Arkose is a special type of sandstone in that it exhibits extremely jagged, poorly sorted sand-sized clasts of all shapes, with pink K-feldspar and quartz being the primary constituents (fig. 5). These characteristics suggest that this sandstone was not transported very far. As such, conventional geologists believe this sandstone to be the remnants of an ancient alluvial fan. That Kata Tjuṯa is a conglomerate and is only located 20 km away would seem to add to this hypothesis. The mountains that supposedly supplied this 2.5 km thick alluvial fan are not present, and thus its being labeled as mountain alluvium, although a necessary assumption, is erroneous. This 2.5 km thick alluvial fan is said to have been deposited by millimeter thick sheets of sand over millions of years. Yet if this sandstone was really deposited gradually over millions of years, the K-feldspar present should have weathered to clay well before the final sand layers were deposited. This is especially true since most conventional geologists believe central Australia hosted a tropical climate for the best part of its geological history. This kind of environment only affords K-feldspar a short lifespan of thousands of years (Loughnan 1969). 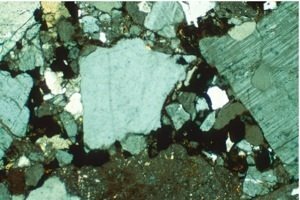 K-feldspar should simply not be present. Yet not only is it present, it is abundant, extremely angular, and very fresh (fig. 5). This arkosic alluvial fan is of staggering size. It is estimated to be several tens of square kilometers in area, and over 2.5 km thick. Again, it is assumed that this arkosic alluvial fan was deposited at a very slow rate over millions years. If this really occurred, then evidence of weathering and erosion ought to exist “between” the layers. In other words, a vast area tens of square kilometers in size simply cannot exist for millions of years without streams and other fluvial processes dissecting and re-dissecting, essentially turning each new surface of deposition into a mosaic of broken and disturbed peneplains. Snelling points out there should also be “compositional and fabric variations” (Snelling 1998, p. 2). Yet the rock layers are extremely uniform, parallel and undisturbed (Snelling 1998, pp. 1–3). Kata Tjuṯa has been interpreted as having a similar origin to Uluṟu. Kata Tjuṯa is a conglomerate with all sorts of different sized clasts from pebbles to 2 m long boulders. How can a 2½ km thick conglomerate, and perhaps as thick as 6 km, such as this be deposited by uniform, slow and gradual stream/gravity processes? The actual size of the combined Kata Tjuṯa and Uluṟu deposit is staggering. This single formation is several kilometers thick and spreads out for tens of square kilometers. Again, how can uniform, slow and gradual stream/gravity processes account for this kind of large scale sedimentation? Problem 1: Why only one horizon of flared slopes? Twidale definitively sees only two episodes of major weathering. Although weathering occurred throughout Uluṟu’s 70 million year exposure history, there were only two major episodes which left their mark on Uluṟu’s surface. The open-mouth caves that form a bead-like chain around Uluṟu’s circumference are said to mark the first phase (see fig. 6). This horizon stands about 35 m above present ground level. The last phase is associated with the 4–5 meter wave-like wall that sporadically appears at Uluṟu’s base. Fig. 6. An open mouth cave in Uluṟu. These caves are found at the same horizon 35 meters above the current ground level. Notice also the mineral streaks and rock decay, which is characteristic of sapping. Photograph courtesy of Evamaria Nittnaus. Some tafoni, foot-scarp caves and other less-significant weathering features also occur in concert with these two horizons. Twidale is correct in his initial assumptions that assert these features constitute two very obvious “horizons.” But are they sub-surface “weathering” horizons? Some inconsistencies begin to emerge as one studies the surface of the rock. Twidale confesses that the most important feature supporting his hypotheses is the concave-out flared slopes (Bourne and Twidale 2000, p. 107). Yet this feature is only found on the ground level at Uluṟu and only at this “one” horizon (at the second horizon at 35 m are found more jagged cave-like features, not flared slopes). Twidale has done some excellent work on such flared, concave slopes at other locations where a series of stepped characteristics combined with flared slopes are clearly evident. Here, however, there is only one horizon and it exists only at Uluṟu’s base, a fact that will be appealed to in presenting a more viable interpretation. Fig. 7. Closer aerial view over the Uluṟu inselberg, showing the erosion lines delineating the upturned sandstone beds. Notice the quite uniform drainage erosional features. Image by Google Earth. Another significant problem is the lack of discontinuity in other surface erosional features. For example, Fig. 7 (and close up view in fig. 8) is of the north/western slope of Uluṟu. Notice the large holes center right. These holes result from water drainage down the strike and start around 70 m from Uluṟu’s top surface. In other words, they travel almost the entire horizontal through vertical slope to the base. Apart from their massive size, another most unusual feature these holes exhibit is their uniform nature. Except for the few small holes towards the top of the image (fig. 7), the only other non-uniform hole is at the base, which is about three times the size of the ones in the middle of the image. If this surface was subject to weathering over tens of millions of years, surely these erosional features would be non-uniform? Shouldn’t the top holes, having been exposed longer, be larger than those at the bottom? These holes are not small, the ones in the center (seen close-up in fig. 8) being the size of a house at nearly 20 m in diameter. Yet for the most part, these holes are extremely uniform. Fig. 8. An even closer view of the area indicated by the upper arrow in Fig. 7. Notice the uniform nature of the eroded holes. Image by Google Earth. Another photo (fig. 9) shows a “weathering” site at the 35 m mark. Notice how the sheet arkose has completely broken away. What is significant here is the eroded groove to the left of the shear. This groove is again uniform down the slope of Uluṟu. Yet here the groove almost disappears because of the material that has sheared off. Over time, this groove will start to erode into the newly sheared-off surface, leaving behind a record of non-uniform erosion. This is precisely the kind of discontinuity one should find all over Uluṟu’s surface if in fact the surface had suffered two or more episodic periods of weathering over 70 million years. What one finds, however, are very uniform erosional features almost all over Uluṟu from top to bottom. Fig. 9. A close-up view of another section of the base of Uluṟu. Notice the sheared-off material to the lower right, where the erosion grooves above it are missing. Over time the drainage grooves above this sheared off section should have cut into the freshly planed surface. This would create a non-uniform erosional feature. This kind of discontinuity should be evident all over Uluṟu if in fact it has weathered according to Twidale’s hypothesis. Image by Google Earth. Problem 3: Erosion—where did all the material go? Twidale employs a two-stage weathering then erosion process that explains how the ancestral Uluṟu evolved from a slight rise to a steep-sided relief. First of all, as stated above, at least two (but perhaps more) episodic weathering events decomposed and then disarticulated the surrounding sandstone. At later stages, erosional processes took over removing the now disarticulated sandstone, effectively stripping out tens of square kilometers of this material from around Uluṟu’s present circumference. This presents, however, subsequent problems related first to the process of erosion, and second, to the method by which the sandstone debris was removed from the surrounding flatlands. Having read four of Twidale’s papers, the best description of exactly what eroded the material and where the material ended up was this: “In stage one it [the sandstone material] is in place, in stage two it has been stripped to expose the concave or flared bedrock surface beneath” (Twidale 2007, p. 113). This quote comes from an illustration where at first the material is present, and then in a later stage the material is gone. In this later stage, Twidale states that the material is “stripped out,” but how is it stripped and where did it end up? The amount of material envisioned here is in the order of hundreds of cubic kilometers, yet all around Uluṟu in every direction for tens of kilometers is an incredibly smooth, flat surface that looks as if it has been swept completely clean. If erosion happened so slowly, where has all the material gone? Those boulders [1.5 meters] would hardly be carried away by the wind. Look at how little we find at the base of the rocks [referring to a picture of the base of Kata Tjuṯa, where again the circumference looks as if it has been swept clean, which is even more of a problem at Kata Tjuṯa since these rocks are a conglomerate made up of some massive boulders]. Stepped inselbergs imply alternations of weathering and erosion. Whether the residuals [the actual inselbergs] exposed as a result of successive waves of planation, which affected the entire region [what kind of process causes planation on such a massive scale? ], or whether they were brought into relief by phases of piedmont erosion during which the weathered scarp-foot zones were etched out . . . must be judged on local evidence. If Twidale is correct, what one should observe is ubiquitous, decayed mounds of sandstone debris all over the flat plains becoming more and more complete, of higher relief and with superior articulation as one approaches the rock face. In order to legitimately establish his theory, Twidale must first present a process that can solve the erosional dilemma described above. How was it eroded, and where is the material? How can hundreds of cubic kilometers of material be removed from the plains surrounding Uluṟu at a depth of up to half a kilometer when it is well known that Australian denudation rates (especially in this area of Australia) are so low, perhaps as low as “tens of centimeters per Ma (million years)”? Note also the emphasis on Australia’s geomorphological stability. Yet the landscape geomorphology of Uluṟu is said to be no older than 70 million years (Twidale and Campbell 2005, p. 145). Due to the difficulties outlined above, an alternative, better interpretation is needed. A concise, logical theory is therefore presented here that explains the current geomorphological landscape of Uluṟu in three major phases. Phase one incorporates an initial cataclysmic watery event, which first of all deposits the Cambrian Uluṟu sandstone. Phase two is dependent on the regressional stage of this same cataclysmic watery event as it etches out ancestral Uluṟu’s basic form. Then phase three incorporates a subsequent period of intense precipitation which fills part of the Amadeus upland basin with water, forming a huge, but temporal, inland lake. This inland lake may have reached depths of several tens of meters. Over time the lake level dropped to the 3–6 m mark and eventually carved away the rock material that now provides the flared slopes found at that location. Phases one and two: Initial deposition of sediments and formation of ancestral Uluṟu. Why did the sandstone fabric not break down into a mostly clay fabric, and, at the very least, why is an abundant source of fresh K-feldspar ubiquitous? 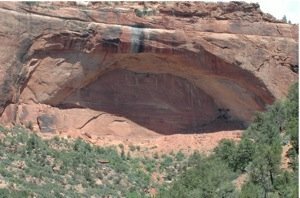 Why are there no weathering surfaces between the sandstone layers? 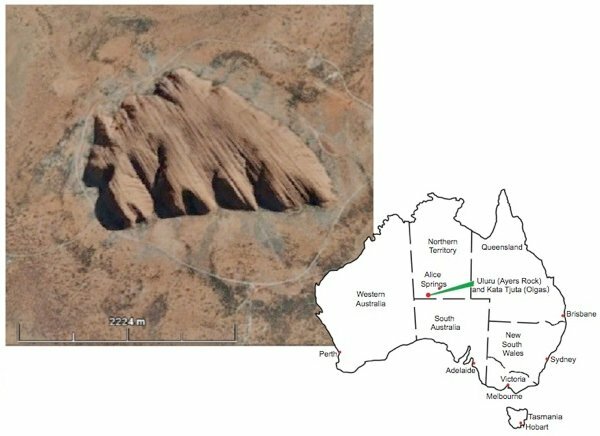 How did the 6 km thick boulder containing conglomerate of Kata Tjuṯa get deposited? Vast amounts of debris, as much as 2.5 km thick, and in some places upwards of 6 km thick, are difficult to explain under normal, gradual gravity processes. Why is there only one horizon of flared slopes and why only at Uluṟu’s base? Why is there no discontinuity in erosional features? What about the unknown process of erosion, and the whereabouts of hundreds of cubic kilometers of material? 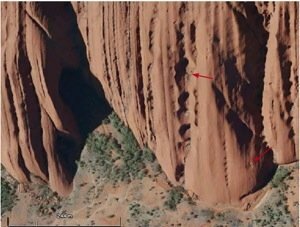 What about the unlikely scenario of this kind of erosion given the Australian landscape’s outstanding ability to preclude geomorphological change? These questions can best be explained in a cataclysmic watery event model. K-feldspar is present because the sandstone was not deposited over tens of millions of years, but was rather deposited rapidly over just a few weeks or months. Weathering surfaces don’t exist between the Uluṟu arkose layers because the entire formation was deposited concurrently. Huge boulders up to two meters in length can be easily moved by raging water. Again, the water in a cataclysmic flood would be expected to deposit vast amounts of material on a regional scale, as seen at Uluṟu, and in fact all over the world. This hypothesis also solves the conundrum as to the process of erosion, and the whereabouts of the material. It starkly contrasts with current denudation rates, and thus affirms that slow, gradual rates of erosion simply cannot accomplish this feat. The agent of erosion responsible for rapidly removing vast amounts of material was the regressional stage of a cataclysmic global deluge. The eroded material was washed out to sea or redeposited at another location. 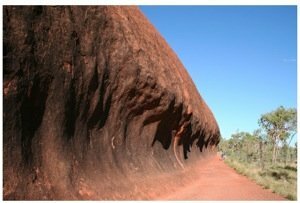 In summary, this deluge first ripped up and eroded vast amounts of rock, pulverized some of it, and then deposited the sediments, which would later become Kata Tjuṯa and Uluṟu, in uniform, horizontal layers many kilometers thick. This freshly deposited material was subject to tectonic activity as the surface of the earth was being twisted, stretched and reshaped. This reshaping provided the current strike and dips of what would soon become the ancestral Kata Tjuṯa and Uluṟu. After an extended period of time the Flood waters began to subside from the earth’s surface incorporating a phase of intense erosion via regional planation. This planation phase would have removed enormous amounts of freshly deposited sediment from the surface of the land, akin to someone taking a bulldozer and planing off the top of a mountain. This sediment would have been washed out to sea or redeposited at other locations. Most of the planed off land would be flat, but here and there small residual landforms would persist. Kata Tjuṯa and Uluṟu constitute such residual landforms. Phase three: Final geomorphic shaping. The solidarity of only “one” horizon of flared slopes, and the uncanny fact that this horizon is found at Uluṟu’s base. The lack of erosional discontinuity. Although the geomorphology of these features do not support Twidale’s hypotheses, they do support processes that incorporate heavy post-Flood precipitation and the existence of a large inland lake. The first issue to be addressed is Twidale’s “flared slopes.” As stated above, the bulk of Twidale’s theory is built upon the presupposition that these geometric shapes resulted from sub-surface weathering. At a later stage, some unknown process of erosion would then remove the overlying disarticulated rock to reveal the flared slope. Twidale is quite certain that these features formed sub-surface, yet examples of these characteristics do not have modern equivalents (in other words, this process is not observed). 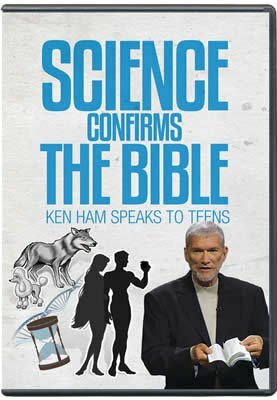 This author therefore disagrees with Twidale and opts for an epigenic6 process that will produce the same flared slopes. Fig. 10. Fort Rock in Oregon. The arrow points to concave-out flared slope, while the diagonal line represents probable pre-erosional surface. Photograph courtesy of Carolyn Ganus. Fig. 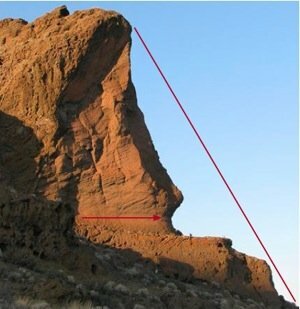 10 is an image of Fort Rock in Oregon. This rock is actually the caldera of an ancient volcano, and is located in an ancient, yet post Ice Age, playa lake. Conventionally, the volcano is dated to Holocene times, while the lake existed as recently as 9,000 years ago. What is fascinating about this particular rock, however, is the concave-out, flared slope which has clearly been eroded into the pre-existing angular shape of the cliff face. Notice also the flat piedmont jutting out from the base of the concave wall. These two features mimic precisely those found at the 4–5 m mark at the base of Uluṟu. Also startling is the incredible similarity of environment at both Fort Rock and Uluṟu. Both features straddled ancient inland lakes, both exist in harsh, desert-like environments, both are singularities that stand out in their respective settings, and both are surrounded by incredibly flat land surfaces. About 27 miles east of US Route 97, the forest abruptly gives way to vast sagebrush plains reminiscent of the Australian Outback. Like Australia’s Ayers Rock [now called Uluṟu], Oregon’s Outback also has a mysterious rock formation that emerges from out of nowhere. Fort Rock is the remains of a volcano that looks like a giant citadel rising 325 feet above the plain. Fort Rock was formed by super heated basalt magma roaring up through ground water as a boiling mud volcano, then cooling (National Science Byways Program). Yet these characteristics are actually not rare. During a rather short online search, this author found several images of epigenic flared slopes made by several different processes that have nothing to do with sub-surface weathering. Fig. 11. A closer view of the face of Uluṟu, with the bedding in the upturned sandstone clearly visible. Notice the exfoliated surface in the lower section of the image. In the lower right is another concave-out, flared slope feature. Inside the exfoliated section notice the concave-down water sapping feature. Photograph courtesy of Andrew Snelling. Even if Uluṟu’s flared slopes are not the direct result of wave attack, epigenic processes such as this may provide another more viable interpretation. Fig. 11 is an image of an exfoliated Uluṟu surface. To the right of the image is the section of exfoliated surface where material has fallen away. Notice the concave-out slope at the top/left of this section. Some epigenic process has removed rock material at the base causing this now undermined block to break off and fall to the ground. Yet this block has broken away in a concave manner leaving a flared slope surface. That this is indeed an epigenic process and not a subsurface one is indicated by the lateral discontinuity in the rock. The original, unweathered rock still resides to the left of this concavity, signifying this process did not occur at a universal soil horizon. This is important because according to Twidale, these flared slopes developed under the surface: “but the flared form is the key element of this assemblage because its piedmont and sub surface origin is certain in most instances” (Twidale 2007, p. 107). It is true that the material, according to Twidale, evacuated the rock once ground level moved lower, but in this instance there was no sub-surface weathering to begin with? Rather than think of ancient soil horizons then, one must start thinking in terms of ancient water horizons. A watery catalyst to rock erosion becomes even more evident at Twidale’s 35 m “soil” horizon. Twidale wants this horizon to represent the first period of episodic weathering and subsequent erosion. Here, however, no concave-out, flared slopes are evident. The caves are massive gashes that bead the circumference of Uluṟu like a massive shark tooth necklace. There is no uniform nature to their form, except that they all do appear to be on the same linear horizon. Fig. 12. Cliff of Navajo Sandstone in Zion National Park. Groundwater sapping has produced similar open-mouthed caves. Photograph courtesy of John Whitmore. A better and more comprehensive explanation attributes these jagged, rough features to water sapping. The arkosic sandstone that makes up Uluṟu is a perfect aquifier, is extremely permeable, and has a massive volume. As groundwater from the water table (and/or lake water) flowed through the rock, the permeable sandstone would have acted like a sponge, sucking “up” water high into the vadose zone. Water from rainfall flowing “down” through the rock, after converging with the groundwater, would have naturally flowed out as a spring at a higher than ground level plane. Fig. 6 is representative of Uluṟu’s larger open-mouthed caves. Notice the white mineral streaks on the cave’s interior. These streaks characterize typical water-sapping processes. 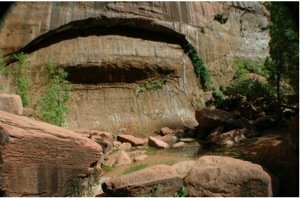 As minerals and other material were dissolved from the rock at this linear plane, the rock became weak, weathered and finally eroded out, leaving cave-like features such as those found at Zion National Park where this exact process has been occurring (see figs. 12 and 13). 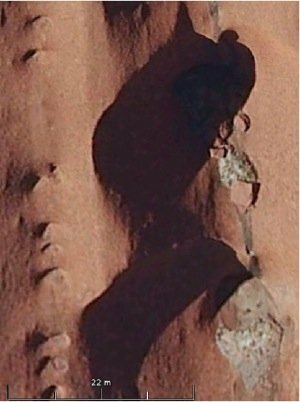 These two caves from Zion National Park are not too dissimilar from the open-mouthed caves found at Uluṟu. Even more compelling is the clear water sapping feature in Fig 11. To the right of the image is the foliated section outlined above. In the middle of this section is a concave-down water sapping feature identical to those found in Zion National Park. Notice the white mineral steaks also found in the 35 m high open-mouthed caves. Is it possible that water-sapping features may have even played a part in the flared slopes at Uluṟu’s base? Fig. 13. A closer view of a cliff face of Navajo Sandstone in Zion National Park. Groundwater sapping has produced similar open-mouthed caves. Photograph courtesy of John Whitmore. Since the Cretaceous, Australia has undergone major climatic change . . . At the beginning of the Cenozoic, Australia was covered with rainforests (Travouillon, Legendre, Archer, and Hand 2009, p. 24). the regolith [ancestral Uluṟu’s top surface] formed under warm humid conditions, and may have been of considerable thickness, which is not incompatible with depths of weathering reported from contemporary humid tropical regions (Twidale 2007, p. 109). Whatever their [ribs atop Uluṟu] origin, they channel runoff, and the related ribs exposed on the steep marginal slopes have been deepened by the water cascading down the flanks in waterfalls after heavy rains” (Twidale and Campbell 2005, p. 111). Central Australia, then, received levels of precipitation equal to or greater than that of modern tropical rainforests. The generation of a vast inland lake is quite feasible. Playa lakes . . . are abundant in central Australia . . . Lake Amadeus is a playa in arid central Australia. It has an area of 800 km2 and is about 120 km long and 4–10 km wide (Chen, Bowler, and Magee 1993, p. 1). the sediments beneath the playa consist of two major units, an upper sandy unit named the Winmatti Beds . . . over a gypseous clay sequence named the Uluṟu Clay . . . These clays continue uniformly to the underlying bedrock with a total thickness of over 60 m (Chen, Bowler, and Magee 1993, p. 4). The thick (>60 m) clay sequence in Lake Amadeus is interpreted as water transported detritus sediment (Chen, Bowler, and Magee 1993, p. 5). Some Tertiary terrestrial sequences exist adjacent to the playa at topographically higher levels (Chen, Bowler, and Magee 1993, p. 11). The plains that surround [Uluṟu and Kata Tjuṯa] are depositional. They are underlain by Cainozoic sequences comprising lacustrine, alluvial, and aeolian beds, the thickness of which varies. The surface underlying the terrestrial deposits . . . is irregular. To the west and north arkose is nowhere more than a few metres beneath the surface . . . to the south of the inselberg the Cainozoic cover is more substantial (20–35 m) but about 300 m south of the cliff line it suddenly thickens as it passes over a (?) fault line scarp separating the arkose from the older Proterozoic strata. The surface cut in the older rocks here is irregular, the Cainozoic being commonly 70–90 m thick, but bores have penetrated through 181 m without entering the Proterozoic [bedrock]. The plain separating the two uplands is underlain by a broad depression representing part of a valley system cut into Proterozoic and Cambrian bedrock. This is filled by over 100 m of sediments. Palynological analysis has shown that lignites at the base of the sequence are of Late Cretaceous date. This is fascinating: all around Uluṟu are lacustrine deposits, some of which reach depths of 180 m! Where did these sediments come from? Given ancient precipitation rates, a tropical rainforest environment, and of course impressive clay deposits of lacustrine origin (not to mention abundant lignite deposits), a vast inland lake is not only not out of the question, it is highly probable. Finally, Uluṟu sits on ground 522 m above sea level. Although the Amadeus Basin (which contains Uluṟu) sits quite high relative to the rest of Australia, it is surrounded on three sides by even higher relief. To the south around 100 km, the ground level rises to a peak of 720 m above sea level at Amata in South Australia. To the north about 60 km on the same latitude as Alice Springs, the ground level rises to around 660 m above sea level. To the east the ground level slowly rises over 150 km to about 730 m above sea level. Only to the west/south does the ground level descend at a very consistent rate until it reaches Lake Eyre. In summary then, an inland lake surrounding Uluṟu on both a local and regional scale is not out of the question. All the right criteria are present: a local and regional depression in which to contain water, ubiquitous extant playa lakes, clay sediments upwards of 180 m deep only a few hundred meters from the inselberg proper, obvious signs of precipitation-style weathering such as holes and ribs on the surface of Uluṟu, and of course research to date which indicates the entire region was at one time subject to a lacustrine environment. The hypothesis is posited here that the relief of the ancestral Uluṟu was brought into existence by an initial cataclysmic depositional marine transgression and a subsequent erosional regression. Following this event, perhaps only tens of years, or maybe hundreds of years later, huge amounts of precipitation began to weather the newly formed and fresh relief, leaving a record of vast holes, ribs, and numerous other features found all over Uluṟu’s surface. As the precipitation continued, a huge inland lake formed and filled the area to a depth of tens of meters. Water sapping eventually caused the arkose to weather at and around a linear horizon 35 m above ground level, producing huge open-mouthed caves. As the process of equilibrium began to set in, a more permanent lake depth of around 3–6 m was established. Since the area all around Uluṟu is quite flat, potential energy in the form of large waves easily etch out the flared, concave-out slopes in the same manner as the flared slopes found at Fort Rock (Oregon). Wave attack is also responsible for the undermining of rock at Uluṟu’s base and may have been a catalyst for the wave-like features themselves. At a later stage still, the climate changed so dramatically, that the once humid, tropical climate of central Australia became a dry arid desert with limited rainfall. As a result, the lake eventually dried up, but not without leaving its permanent reminder both on the face of Uluṟu, and under the ground in terms of huge clay deposits. This paper was originally submitted as a geomorphology class project to Dr. John Whitmore of Cedarville University. Without his help and assistance I could not have put this paper together and want to thank him for his wisdom, discernment, and scientific mentoring. I want to thank Dr. Andrew Snelling and other reviewers for their assistance and editorial help. I also want to thank Dr. Tas Walker for his support in locating pertinent resources. Bourne, J. A., and C. R. Twidale. 2000. Stepped landscapes and their significance for general theories of landscape development. South African Journal of Geology 103, no. 2: 105–120. Gale, S. J. 1992. Long-term landscape evolution in Australia. 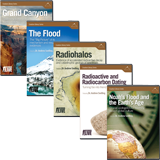 Earth Surface Processes and Landforms: the Journal of the British Geomorphological Research Group 17, no. 4: 323–342. Chen, X. Y., J. M. Bowler, and J. W. Magee. 1993. Late Cainozoic stratigraphy and hydrologic history of Lake Amadeus, a Central Australian playa. Australian Journal of Earth Sciences 40:1–14. Loughnan, F. C. 1969. Chemical weathering of the silicate minerals (especially pp. 67–71). New York: Elsevier. Selby, J. 1989. Ayers Rock. Geology Today 5, no. 6:206–209. Snelling, A. A. 1998. Uluṟu and Kata Tjuṯa: A testimony to the Flood. Creation 20, no. 2:36–40. Sweet, I. P., and I. H. Crick. 1992. 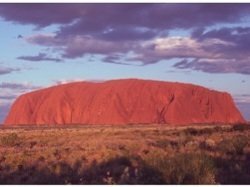 Uluṟu and Kata Tjuṯa: A geological history. Canberra: Australian Geological Survey Organisation. Travouillon K. J., S. Legendre, M. Archer, and S. J. Hand. 2009. Palaeoecological analyses of Riversleigh’s Oligo-Miocene sites: Implications for Oligo-Miocene climate change in Australia. Palaeogeography, Palaeoclimatology, Palaeoecology 276:24–37. Twidale, C. R. 2007. Persistence and relief amplitude. In Ancient Australian landscapes, pp. 105–113. Australia: Rosenberg Publishing. Twidale, C. R., and E. M. Campbell. 2005. Passive fractures: Avenues of weathering. In Australian landforms: understanding a low, flat, arid and old landscape, pp. 141–147. Australia: Rosenberg Publishing. Twidale, C. R., and W. K. Harris. 1977. 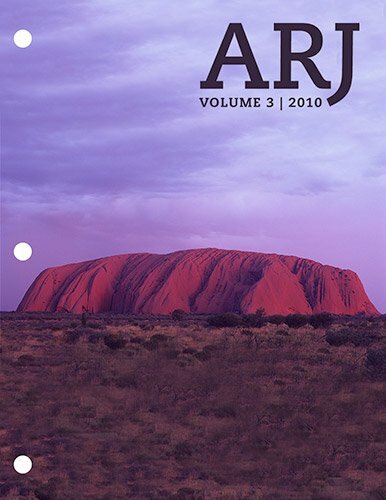 The age of Ayers Rock and the Olgas, Central Australia. Transactions of the Royal Society of South Australia 101:45–50. Wells, A. T., D. J. Forman, L. C. Ranford, and P. J. Cook. 1970. Geology of the Amadeus Basin, Central Australia. Bulletin 100, Bureau of Mineral Resources, Canberra, Australia. Although other writers are involved in this inselberg hypothesis, Twidale’s name will henceforth be used as the representative proponent of this view. Until recently, it used to be called Ayers Rock. This thesis will only deal with the flared slopes and open-mouthed caves. Processes that occur above the ground surface rather than below the ground surface.